Our 7th HarroComp took place on Saturday 9th March and was a celebration of HarroWall turning 1 year old! How time has flown. 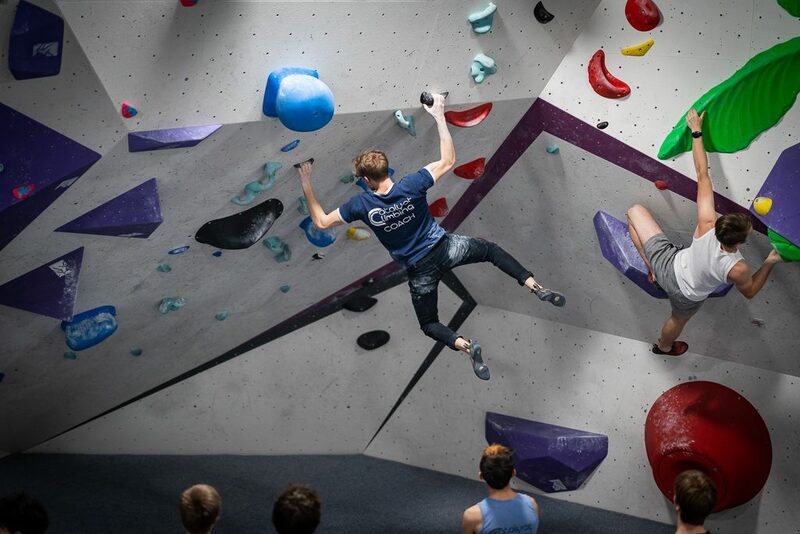 A big thanks to everyone who turned up for a great climb and an even bigger thanks to all who pre-registered for the event! 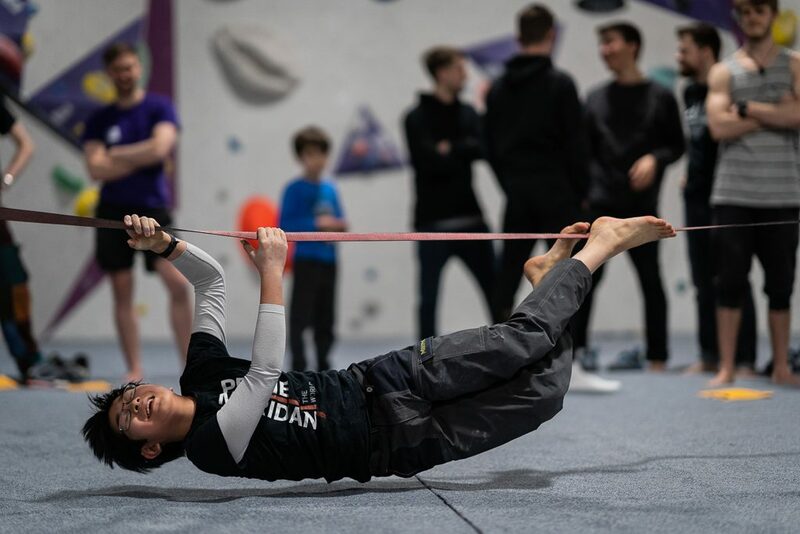 The fun comp, set by our in-house team, was super popular complete with a slackline challenge and chair climb. Our brilliant Cafe team made Mexican Bean Vegan Chilli with nachos to keep everyone well fed after competing. We also had birthday cake and top tunes to keep everyone psyched for the Main & Fun Comp. 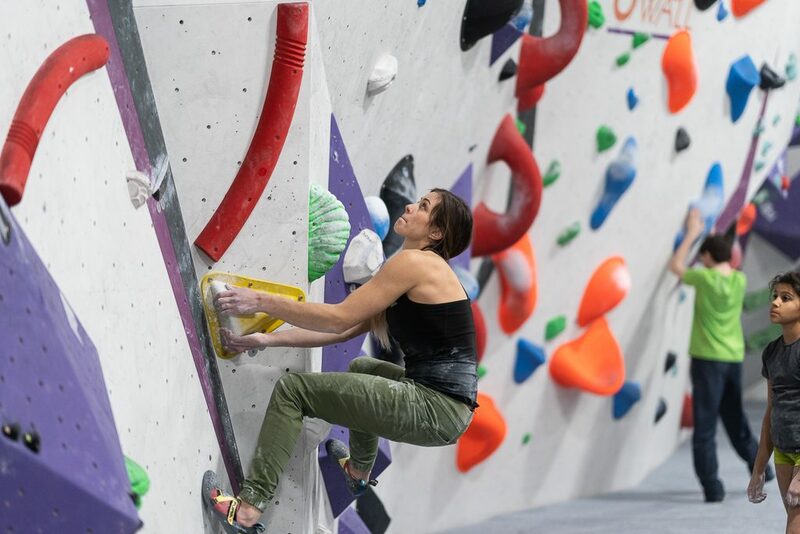 Winners walked away with Friction Labs chalk, Yoga Sessions for climbers with Climb+Yoga and some awesome Scarpa clothing! Senior Male category was won by Jake Collins, second place taken by John Golder and Elias Bignold coming in third. Senior Female category was dominated by Ky Giorgi, Lena Drapella coming in second and Anna De Souza taking third. Junior Male category saw Kris Kothari taking the win (again! ), Johnny Gibbs in second and Coby Nichollas took third place. Junior Female had Valissya May coming in first and Kaitlynn Fletcher in second. 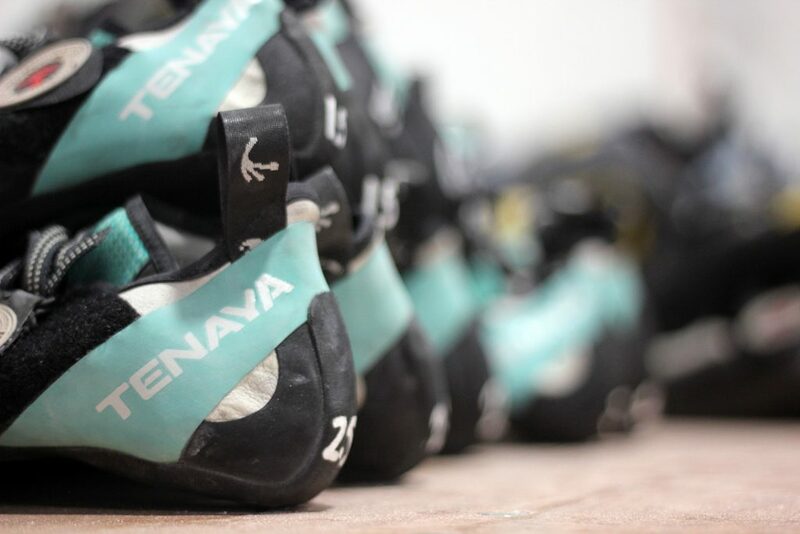 For the Fun Comp we had a prize draw and one lucky climber walked away with any pair of Tenaya shoes of their choosing! 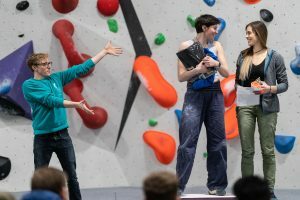 Teo May’s scorecard was drawn out of the pile at prizegiving and he chose the Tenaya Oasi! We’ve posted a few photos below but you can check out even more pictures of the event on our Facebook Page to see a range of great photos of the competition. 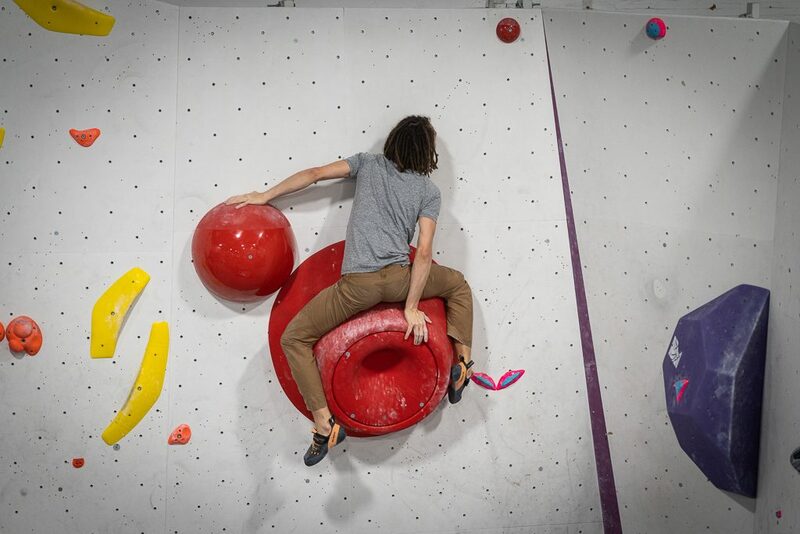 Our next VauxComp will be on 3rd April at VauxEast. This comp will our first birthday for VauxEast as well! So if you enjoyed this birthday party (and the free cake), don’t miss our next one. Thanks to the setters and the HarroTeam and well done to everyone who turned up and competed!